The Sierra ski destination has extended its 2017-2018 season once again. The Sierra ski destination has extended its 2017-2018 season once again, with a new closing date: Sunday, June 17. PLAYING A ROUND OF GOLF... with your pops on Father's Day morning? Or maybe hitting the go cart oval or finding an outdoor café to hang at, all to celebrate his awesome dad-a-tude? We do have a way of finding the most summery activities to honor our fathers on their annual holiday. Which makes total sense, since Father's Day has a tried-and-true knack for popping up on the Sunday ahead of the summer solstice, as it will again in 2018. The date is June 17 — surely you're already shopping for the best present in the world — but there's a fresh twist to making a summer-inspired plan. 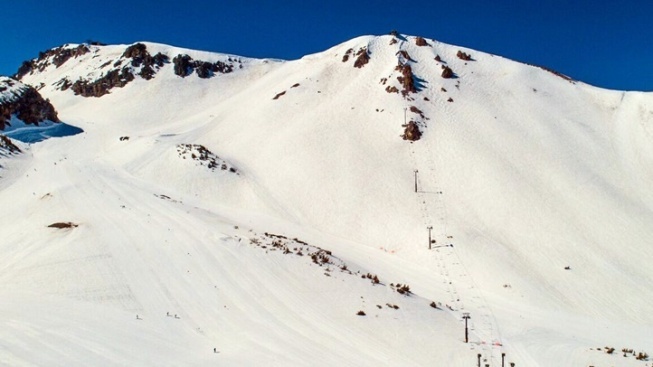 Of course, if your dad digs golf, or heading for a swim park, by all means, go with his wishes, but check it out: Mammoth Mountain has extended its ski season right through to June 17. Make that "at least" June 17, which means that you and your father and the whole family and your friends, too, could be schussing just days ahead of summer's arrival.